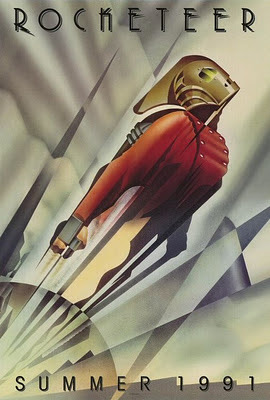 I love the Rocketeer. It's a really underrated movie. 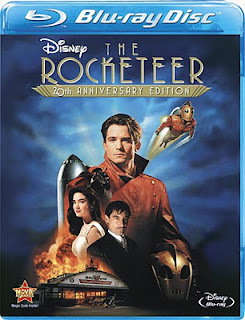 A very short synopsis from IMDB : A young pilot stumbles onto a prototype jetpack that allows him to become a high flying masked hero. If you haven't seen it, it's out on Blu Ray. 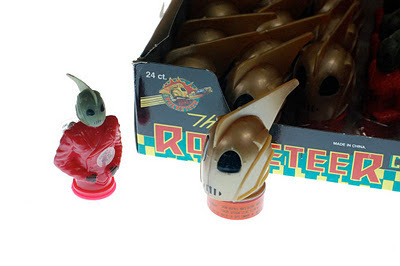 When I first started collecting Disneyana in 1991, I started collecting Rocketeer. I have several figures around somewhere, yet to be rediscovered, but this was found by my wife, along with some other assorted Disney goodies, in the attic. Why did I buy a box of candy, which wasn't opened for 20 years, and then, only to be photographed? What was I thinking?! I don't have the slightest idea. I hope I got it at a reasonable price. If I had the actual cash in hand for all the stuff that I have in boxes in the attic, basement and garage, I could retire. Ah well, 'tis the curse of the collector. And what kind of candy is it you may ask? There is no place on either the box or on the candy containers to indicate just what is inside! 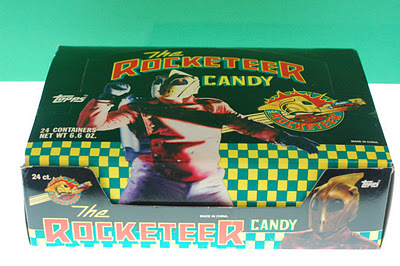 So, the answer to the question "what kind of candy is it?" is; it's old candy! 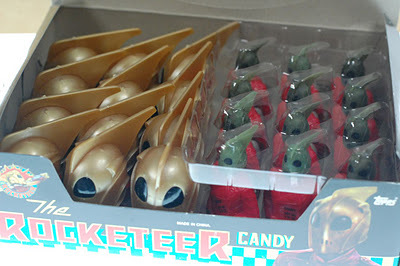 It is 'don't eat me' candy. At least you know it is all well sealed or you would have found ants inside the box as well. This is pretty darn cool, even though I haven't seen the movie!